The Holy Bible should be read in your native language, so that you can understand it. This is easier than learning the original languages of the Holy Bible. 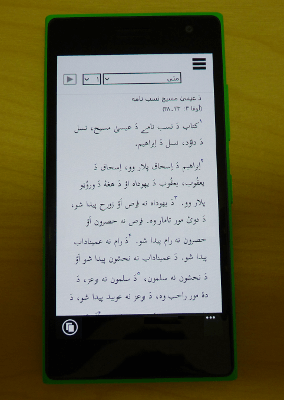 Here we present the Holy Bible for you, to read and listen to in Afghan languages - simply choose an option from the menu above. 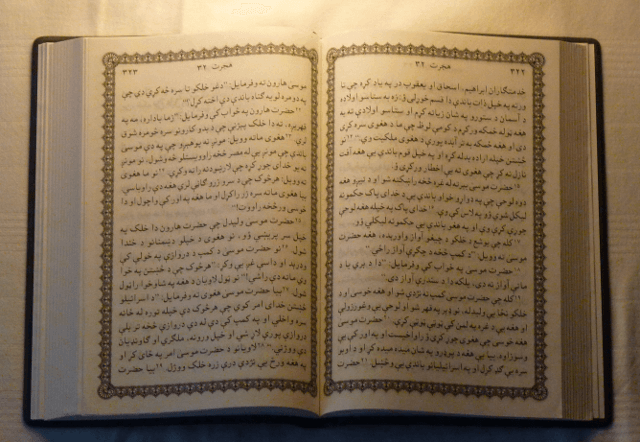 So far we have Scriptures available in Dari, Hazaragi, and dialects of Pashto. And translation continues! The Scriptures are available as books as well as in electronic formats such as Mobile Phone Apps, Web pages, PDFs and Electronic books. We translate and publish the Holy Bible into as many different media as possible (web, mobile, books, audio). Our aim is that you can have the freedom to read the Holy Bible for yourself, and decide for yourself what to believe.